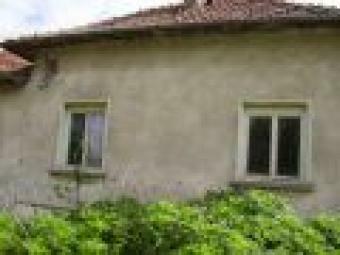 Here an outstanding offer in the charming, quiet village of Chomakovtsi. This village is only 3 m from Cherven Bryag with a population of about 1400. There are already three houses here owned by British people so it may be quiet but it is definitely a property hot spot! The second house is old and when built a lot of care and attention went into the construction, but in later years the place has suffered serious neglect and it would require a lot of work to restore to its former glory. However, given the time and attention it would make a magnificent home with so much charm and feel of history about it. The gardens stretch to some 2000 sqm. The plot could easily be split into two and one half sold - the profit from this could be reinvested in the retained house. We would be happy to help with this. The garden is very flat and fertile. The electric and water are connected to both houses. The telephone and cable TV are just outside, and mobile phone coverage is good. Internet is available in the village through the phone line or through the local radio supplied network. Both houses have asphalt road frontage so access is easy throughout the year whatever the conditions. THIS REALLY IS AN OFFER NOT TO BE MISSED, REGULATED LAND AT �2 PER SQM AND TWO HOUSES INTO THE BARGAIN!